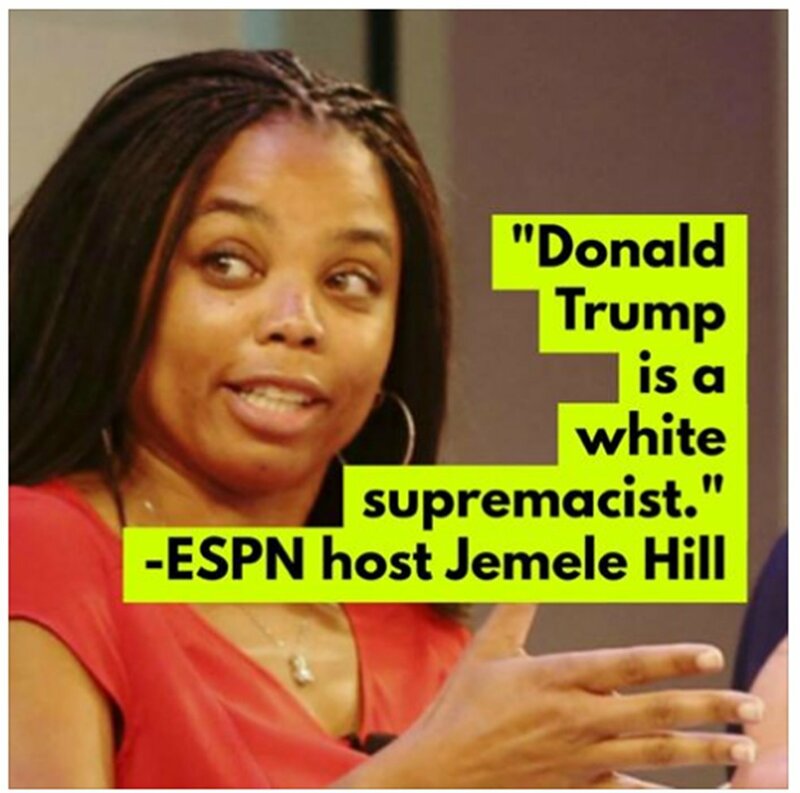 Do you remember Jemele Hill? The ESPN host who called Trump a “white supremacist” in a tweet and received a lot of well-deserved flak for it? Well, apparently she’s not sorry for saying it, only that she said it on Twitter. I don’t know how that works, considering that she probably would have gotten in the same amount of trouble no matter where the spouted it, but okay then. She recently did an interview with Sports Illustrated Media Podcast and made it clear that she doesn’t intend to apologize for the disparaging and blatantly false comments she made about the President. She complained, instead, that Twitter is not “the place for nuance.” I don’t know how much “nuance” is needed when you call the President a “white supremacist.” That seems like a pretty cut-and-dry statement if you ask me. Really? 280 characters isn’t enough to have an in-depth conversation? You don’t say? But she doesn’t stop there. Not only was Twitter not the right place for her inane statement, it wasn’t the right time to post it either. Have you ever considered that it might not be the medium or the timing that was wrong, but your entire statement? Have you considered THAT might be why people got their feathers ruffled? No, clearly it is everyone’s fault but your own.